Summary: The role of the SQL database administrator is a critical one for any organization, and one of the most important responsibilities of the SQL DBA is to keep the server up and running at all times. However doing so involves fighting difficult problem scenarios, which can often baffle the most talented of DBAs. 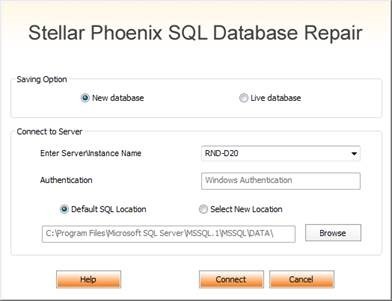 Stellar Phoenix SQL Database Repair proves to be a worthy accessory for diligent administrators, helping to combat the toughest of server issues with finesse. Be it a hardware failure, software crash, virus infection, or accidental hard drive format, when any disaster befalls the SQL server, an organization faces a lot of unpleasant situations including complete inaccessibility of database objects like tables, triggers, or keys. Having been in many such situations ourselves we can vouch for the fact that many-a-times, getting the SQL server back online with all user data intact can prove to be mammoth task, which takes a lot of time. Traditional revival methods for the server though competent, often prove to be too complex and too slow in time-critical cases. Take the Hex editor for example. Quite a few SQL users make use of Hex editors to purposely corrupt SQL databases for evaluating the robustness of the server they’re using. The same Hex editors can then be used to attach corrupted SQL databases to the server and resume working. However, to make use of such complex techniques one would need to be a tech-whiz and have a lot of time and patience at hand. In most organizations, that is not a luxury database administrators can afford. Thus, a sophisticated and efficient tool is needed which can perform quick fixes on damaged SQL databases conveniently. 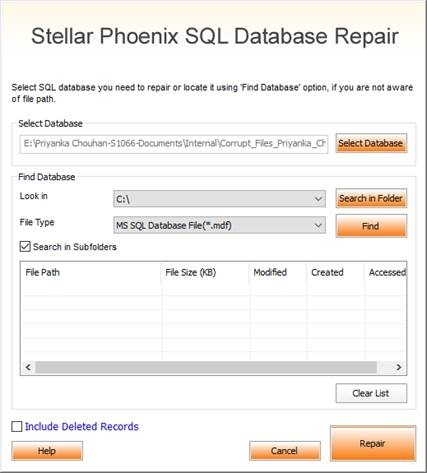 Stellar Phoenix SQL Database Repair proves to be such a proficient SQL recovery tool. Over the years, we have used this SQL database repair software to overcome many difficult server issues and have always found it robust and reliable. Thus today, in order to help others like us out there, we’re detailing our product review of this handy application which we believe every SQL DBA should keep by his side. As a firm that relies on Microsoft SQL Server heavily, we often deal with bulky database files. The most common problem with such files is that they are easily corruptible. And when any attempt is made to attach a corrupted SQL database file to the server, the result is a series of nasty errors like the one shown below. The only way to get around errors like these is to perform a hard recovery on the SQL database. But since using the DBCC CHECKDB command with repair options is a fairly lengthy process, we researched on the Internet for third-party tools that could offer quick help. 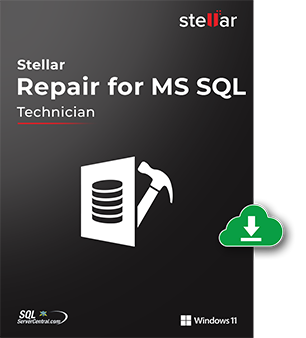 That’s when we stumbled upon Stellar SQL Repair; the software worked like a charm and got the server up and running in no time. 1. First, we stopped the current running instance of the SQL server and copied the database to a different location to remove it from under the control of the database engine (the software will also prompt you to do this when you first launch it). 3. Once the appropriate file was selected, we clicked on the “Repair” button and watched as the tool quickly scanned it and displayed recoverable data within its left hand panel. Note: At this juncture we were impressed by the level of detail that the tool presented. 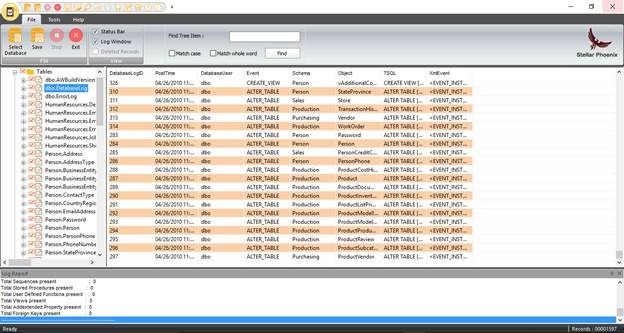 After finding recoverable data, the software displayed all information such that we could look at the database, examine all objects and even see the data for individual tables. And we could preview whatever we liked. 4. Then, we selected the data which we wanted to recover and clicked on the “Save” button from the main menu. In both cases user needs to specify the server name on which to save the data and other relevant details. We picked the first option and when it finished working, the server was up and running like new! Overall, our experience with the software was very satisfactory. It helped us get rid of the database corruption by repairing our MDF files quickly and provided the option to save recovered data in multiple formats, and all that at a very affordable price. We truly couldn’t have asked for a better product.